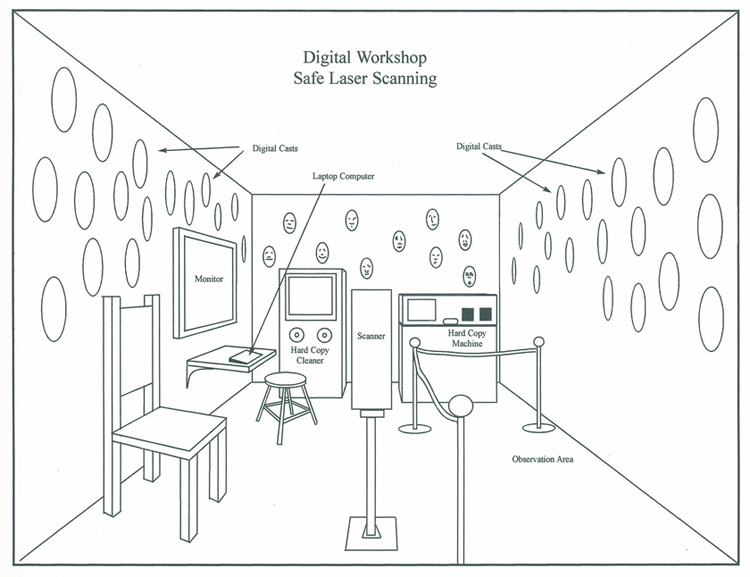 The Digital Workshop is devoted to creating a safe laser scan of a museum visitors face. After the portrait is captured, it is transferred as a digital file to a 3D copier and reproduced into a resin life size face. As an incentive for paying for a digital cast, the client will have the option of allowing the Museum to create a miniature bust of what they take home. The smaller version will line the walls of the front entrance. The goal is to eventually fill the lobby area walls with these miniatures, so that visitors entering the main area may view them.